Find out more about your class teachers. Get to know the teachers at The Karma Centre. We look forward to seeing you soon. Anthea is the Karma Centre studio owner and a Senior Yoga Teacher. 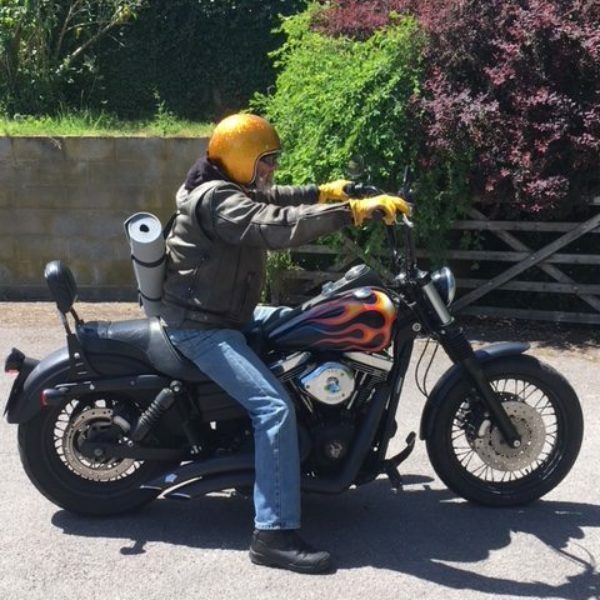 In addition to qualifying with the British Wheel of Yoga, she has studied Ashtanga with David Swenson, Vinyasa Flow with Shiva Rea and Iyengar based Yoga Therapy with Doug Keller. Since 2012 she has studied extensively with Yogi Ashokananda in India and the UK. 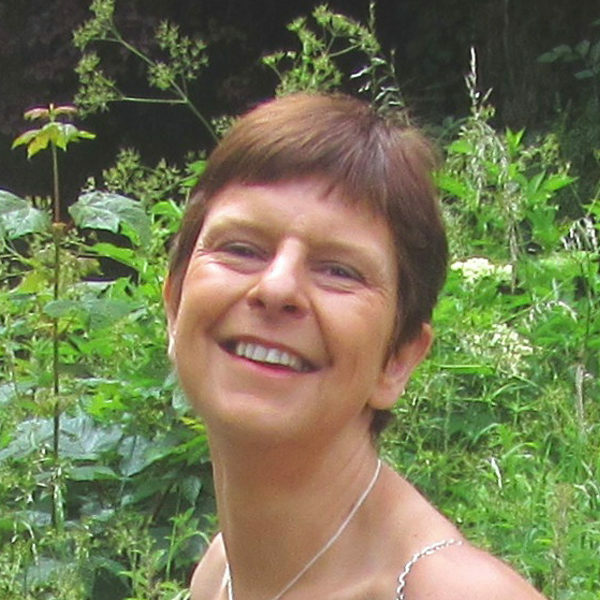 Anthea started teaching public classes in 1990 and has been based in Salisbury for the past 9 years. She also runs Yoga Retreats and Teacher Training Foundation Courses on behalf of the Academy of Yoga & Meditation. 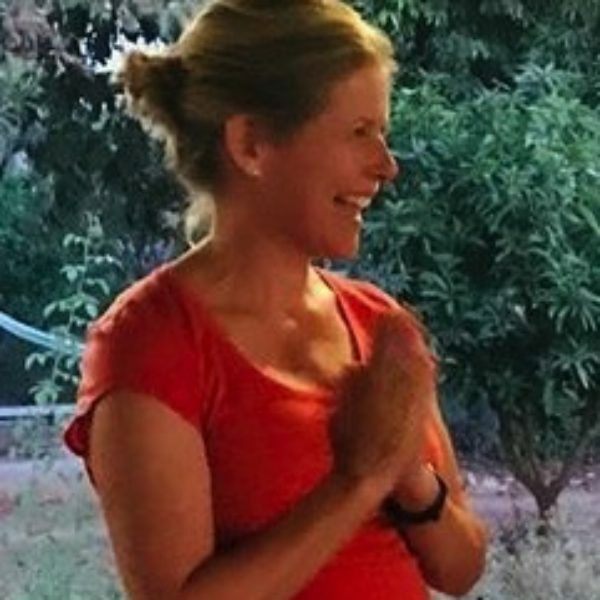 Anthea teaches a variety of Hatha Yoga classes; her teaching fuses the strong dynamic movements of Ashtanga with the structural alignment of Himalayan Hatha. Her style has been influenced by her love of traditional Prana Kria which focuses on the breath and Pranayama (breathing techniques). Anthea is passionate about the therapeutic aspect of yoga. 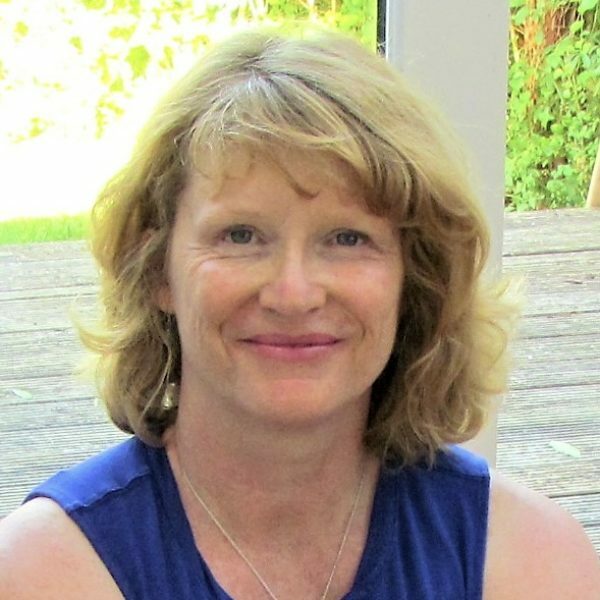 She teaches the Wellbeing Group for Salisbury District Hospital and specialises in Restorative Yoga, Chair Yoga & Meditation. In all her classes, you can expect to be both supported and challenged, whether you are a beginner or a more accomplished yogi. Sara practiced Pilates for 10 years, however after her very first class Sara fell in love with the practice of yoga and has been practicing 6 years. She completed her 200 hr Teaching Certificate under the strict tutelage of Yogi Ashokananda at the Ashoktree Ashram in Tamil Nadu, India. Sara is extremely passionate about sharing her love of yoga and hopes to share with others the positive effects and benefits that yoga brings to your life both mentally and physically. Her approach to classes is fun and challenging, often focusing on specific muscle groups to guide students through a safe and well-rounded practice, including relaxation and meditation, aligning both mind and body. Our ex-boxer, Lindsay started his yoga journey in January 2016 at the age of 50. Curiosity quickly lead to yoga became a regular part of his day. Since that very first class Lindsay has lost over two stone in weight. Simply through a dedicated yoga practice his fitness levels and flexibility has increased substantially. Yoga has also helped him to manage an ongoing knee injuries sustained from years of running and weightlifting. Lindsay has studied regularly with Yogi Ashokananda and gained his Teaching qualification following intense training with Yogi in India. Lindsay has specialised in the practice of Yoga Nidra, he is passionate about the health benefits of this meditational practice and runs regular – not to be missed – Yoga Nidra classes. 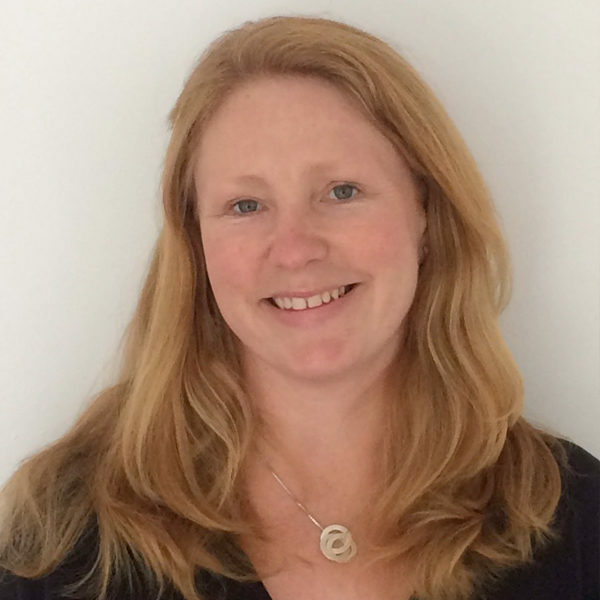 Alison is a qualified Chartered Physiotherapist and a certified Australian Physiotherapy Pilates Institute matwork instructor. She also teaches Hatha yoga and our unique Pilates & Yoga Fusion classes. She has been practicing yoga in various forms for over 15 years and teaching modified matwork Pilates for 10 years. She is interested in how these disciplines can be used to: – encourage improvement in posture and movement – educate and encourage better body awareness – help in the rehabilitation and recovery from injury. I first came to yoga more than 25 years ago when life as a senior manager in school all became a bit too much and there was need for calm and a different focus. Initially, I only practiced once a week but this soon became three times a week and progressed to six sessions a week. I started with Iyengar Yoga, which I did for some 15years +along side Hatha with my lovely Indian teacher Ashok Naik. It was at this point I found Ashtanga Vinyasa which I loved, with it’s breath, count and meditative Mysore practice. It was a physical challenge, a discipline and a practice I could take and do anywhere in the world. I have been fortunate to participate in several se intensives with John Scott, who has immense knowledge, humor and a wonderful calm, quiet approach to this practice. 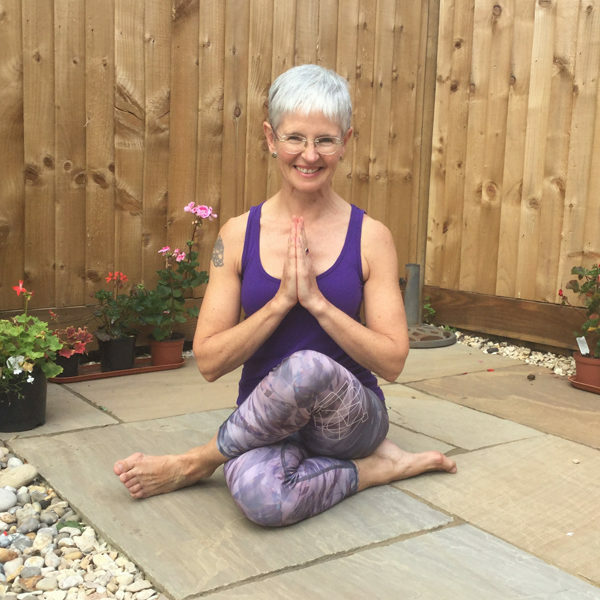 My passion for Yoga started 18 years ago after the birth of my second son and severe post-natal depression and has only deepened as a result of having to deal with some very difficult personal and family circumstances. I was offered pills by the doctors but knew I had to find a better way of healing myself and living with the pressures that life can bring. I started taking classes with Nell Lindsell, who later started Yogabugs and I fell in love with the relief that Yoga brought to me. After the birth of my third son 14 years ago, I stepped up my personal practice to 3 classes a week, one Iyengar class and 2 Hatha yoga classes. This lead to my decision to train with Yogabugs initially and then Calm for Kids. I have been teaching children and teenagers for over 10 years now and in that time have taught the sporty, non-sporty and many children with different challenges, both physical and mental. My Children’s classes are all adapted to suit the age group and include music, games and stories to teach them the basic postures and give them the very valuable benefits that yoga has to give. I use simple breathing exercises and teach them, often the hardest lesson of all, to relax and be still for up to 5 minutes with wonderful, child friendly meditations. Linda was introduced to yoga as a teenager by her mother and since then yoga has never been far away. She began practising Hatha yoga and for many years was a student of Iyengar yoga. Nowadays, she is enjoying learning the techniques of Scaravelli-inspired yoga. Linda trained as a Pre-natal and Post-natal yoga teacher with Sally Parkes. She has a passion for working with women at this most spiritual and empowering stage of their lives. 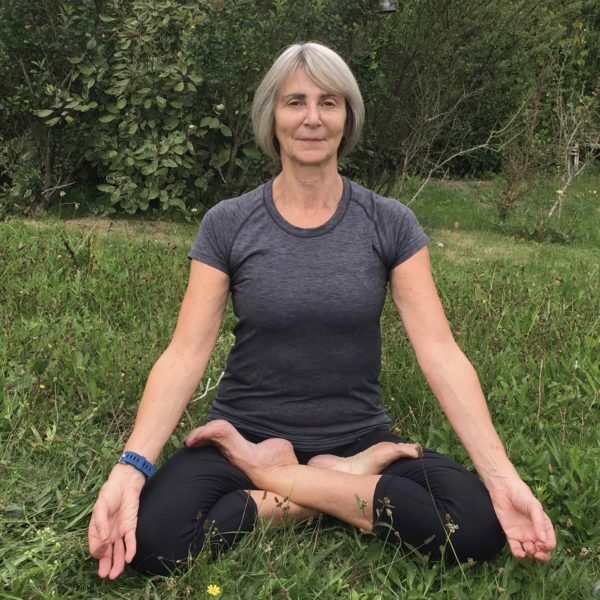 Linda is also a qualified meditation teacher and believes that with a subtle and informed approach, the benefits of meditation can also be experienced through yoga practise, providing the best of both worlds. The aim of the pre-natal classes is to enable mums have quality time to connect with their babies, honouring the sacred nature of motherhood. The gently challenging nature of the yoga poses works with the body, opening up space to help the growing baby. Stronger work strengthens the legs and pelvic floor, all of which helps you in the later stages of pregnancy and labour. Breathing exercises learned in class, can also be used as a relaxation technique during labour. Linda has a gentle, warm and empathic approach to teaching.